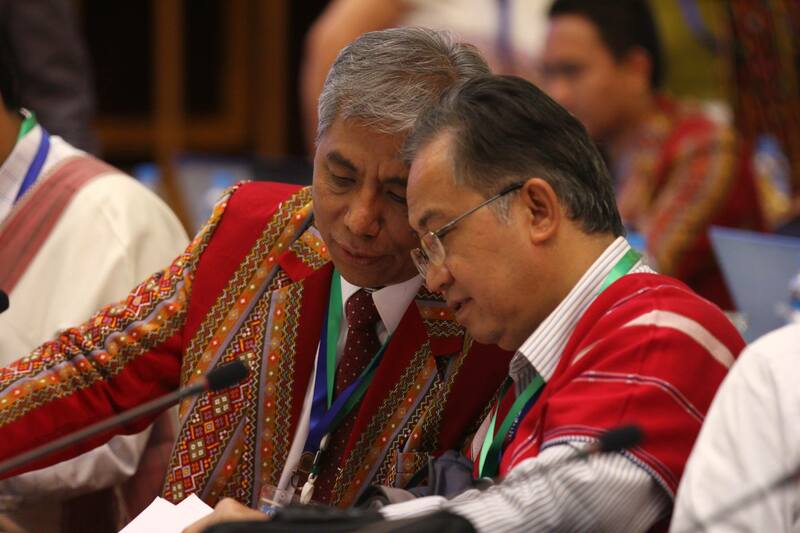 The first Union Peace Conference (UPC) from January 12 to 16 of 2016 in Myanmar was successfully conducted. 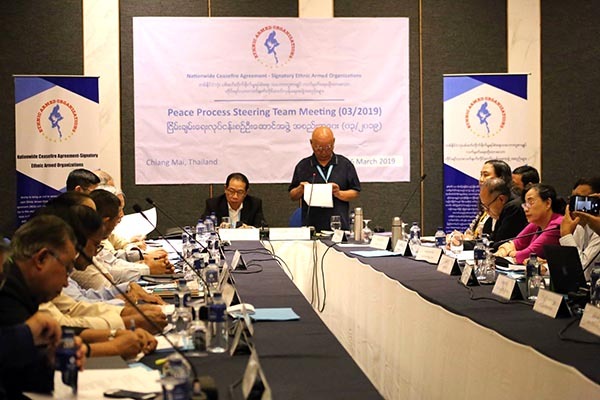 It was attended by 150 representatives each from the Government of the Republic of the Union of Myanmar, the Myanmar Military, the Ethnic Armed Organizations who signed the Nationwide Ceasefire Agreement (NCA), and the political parties. Apart from these 600 delegates, it also included 50 ethnic representatives and another 50 representatives of the civil society and some representatives from one non-signatory group; the National Socialist Council of Nagaland (NSCN). The Myanmar president Thein Sein, the leader of the recent election-winning party National League for Democracy (NLD) Daw Aung San Suu Kyi, the present Commander in Chief of Myanmar Army Senior General Min Aung Hlaing, the speaker of the Union Parliament of Myanmar Thura Shwe Mann, and the representative of the Ethnic Armed Organizations (EAOs) Karen National Union Chairman General Saw Mutu Sae Poe, all delivered their respective message to the conference attendants. Every speaker expressed that they were positive towards the peace process, and that they would support it fully. The conference was arranged and led by the Union Peace Dialogue Joint Committee (UPDJC) which is the steering body for the whole process of the political dialogue in the country. During the conference, one of the three UPDJC secretaries Dr. Lian H. Sakhong presented a summary of the NCA, one of the three vice Chairs of the UPDJC U Aung Min presented the function of the UPDJC, while still another member of the UPDJC Sai Kyaw Ngunt presented a summary of the Framework for Political Dialogue. 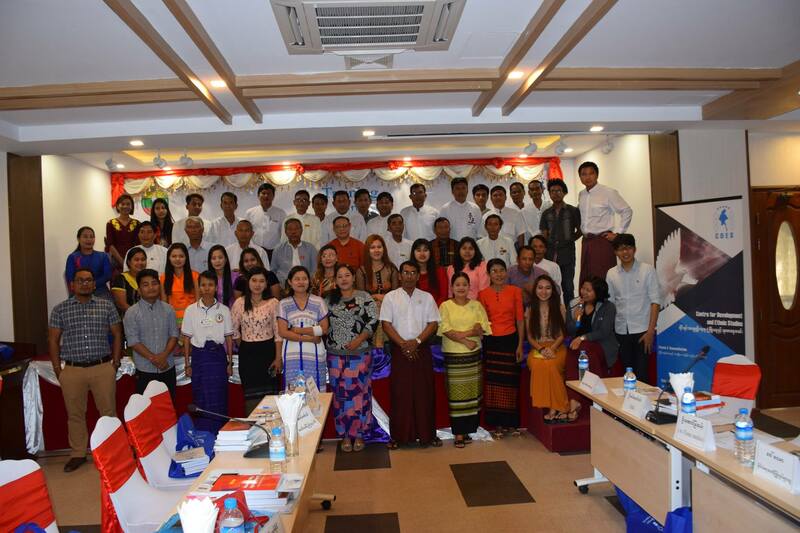 Finally, a member of the Joint Motoring Committee (JMC) Lieutenant General Ye Aung presented the function of the JMC to the participants. The UPDJC presented the five socio-political topics that have to be discussed at length as part of the political dialogue during the coming years. The conference did also give each group an opprtunity to present their respective initial ideas about these topics. The first positive sign of the progress of the Union Peace Conference in Myanmar was the participation of the NLD leader, Daw Aung San Suu Kyi. Her attendance at the conference was a recognition and a legitimizing of the ongoing peace process. She also told the attendants that the peace process will be continued by her party administration, and she is ready to bring ever-lasting peace to the people of Myanmar. The second significance of the conference was that all of the participants of the conference agreed that the future political system of Myanmar has to be based on the principles of democracy and federalism; a reflection of the Panglong spirit. Though each group still has its own version of a democratic federal union, the formation of a federal union is presumed by everyone to take place, wherein the people of Myanmar can live a life built on peace, justice, equality, liberty, dignity and respect. 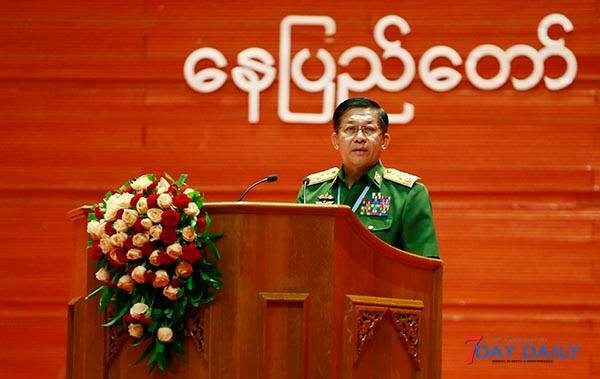 The third achievement of the Union Peace Conference was that the repeated accusations by the previous government and the military against the Ethnic Armed Organizations, branding them as being separatists from the Union of Myanmar, has been successfully removed from the minds and hearts of the people of Myanmar. The nature and style of the discussions during the conference has also been significant for the progress of the peace dialogue, as each and every one of the participants could discuss freely, frankly and friendly throughout the conference, without any hesitations and restrictions. Indeed, the Union Peace Conference Hall could be said to be the first political platform where everybody were able to speak at the same level. The abovementioned factors have clearly shown that the present Thein Sein Government actually managed to lay down a stable foundation for political dialogue; a plausible way to resolve the six-decade-long ethnic conflict in Myanmar through political means, and not anymore by military means. After this first Union Peace Conference, numerous national level political dialogues will be conducted across the country; these will be ethnic-based dialogues, issue-based dialogues, and state/division-based dialogues. Every four months, there will be a recurring Union Peace Conference bringing up the issues discussed in the national level political dialogues. The next Union Peace Conference is expected to be held during the coming May 2016.